catholicbeer: A beer, please... and hold the glass shards! 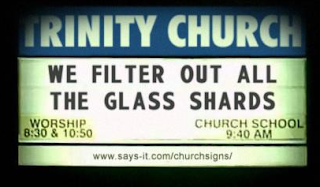 A beer, please... and hold the glass shards! Sounds like the California branch while being the most productive branch of catholicbeer also, at one point, had the highest ratio of beer to glass shards. We had a managerial meeting and upon further review we have decided that this is not a good strategy as it edges out some of our more prominent vertical markets. So, new and improved, catholicbeer califormia edition will eventually be ready for consumption. We are currently aging the beer with great care in some guy's garage (don't worry, it's cool).